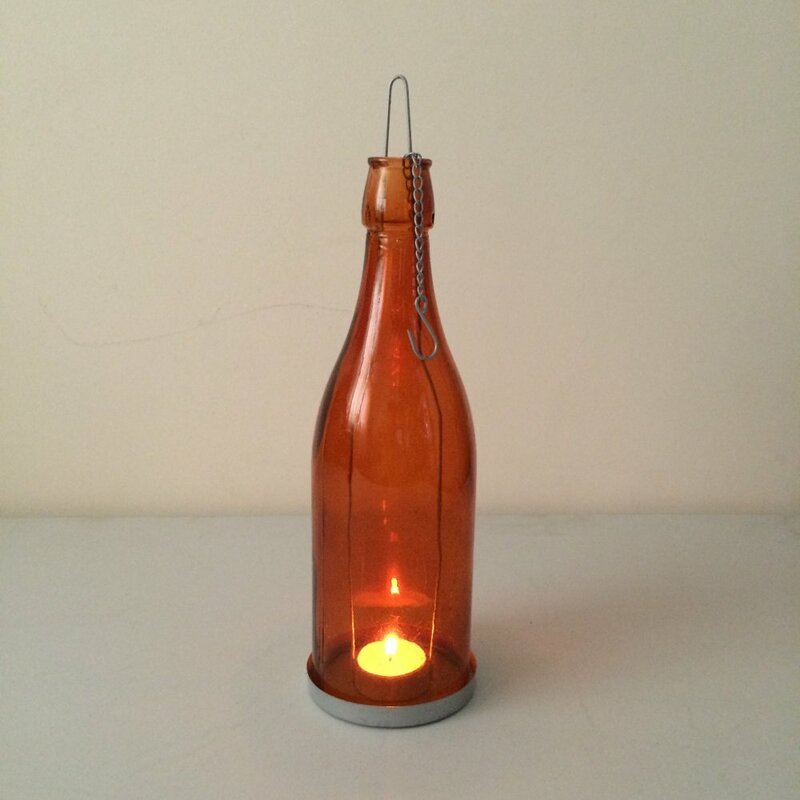 This orange bottle tea light holder has a metal base into which the bottle sits. 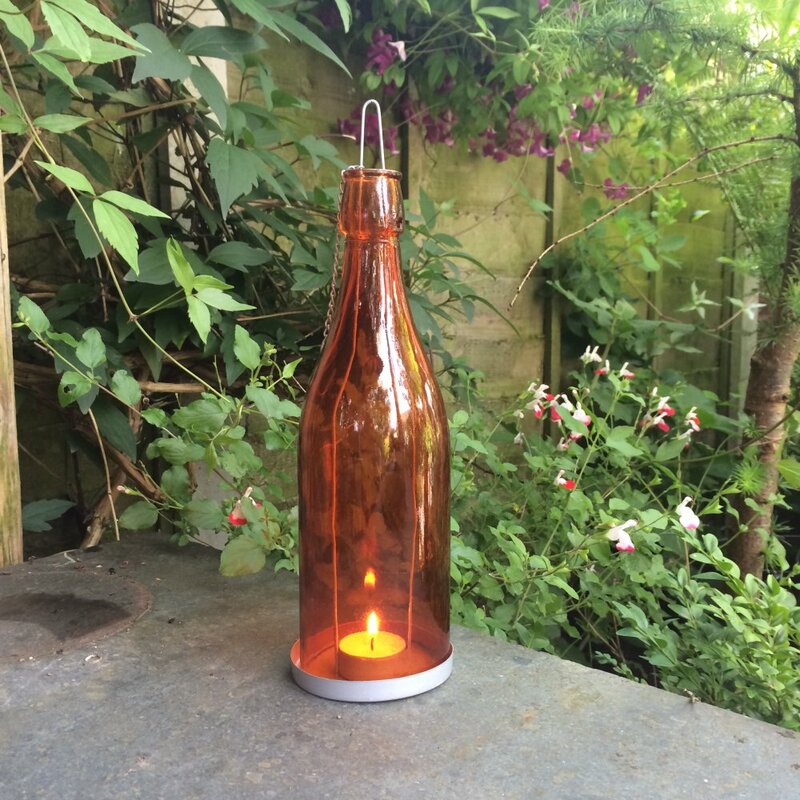 Simply lift up the bottle and pop your tea light inside and light. 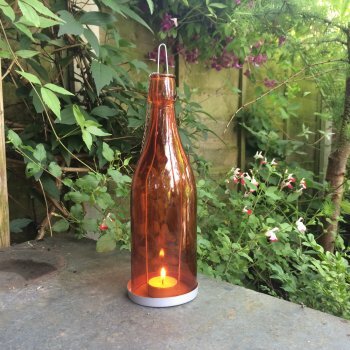 There is an attached metal chain so the bottle can be hung from a bracket or tree branch anywhere in your garden. This would make a lovely gift for someone who enjoys their garden.